are engineered to hit harder and deeper than the smaller subs. They usually require a much bigger enclosure to operate correctly, but the result is loud and impressive bass. When choosing a car audio subwoofer, keep in mind the amount of space in your vehicle and your preferred style of music. 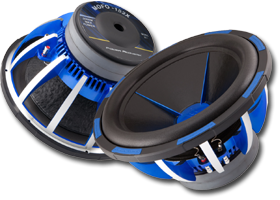 For full selection of Power Acoustik Subwoofers browse HalfPriceCarAudio.com.